GRE 2019: Interested in studying MBA, any specialized master’s program or Doctor of Jurisprudence (J.D. programs) in abroad?? Apply for GRE (Graduate Record Examination). 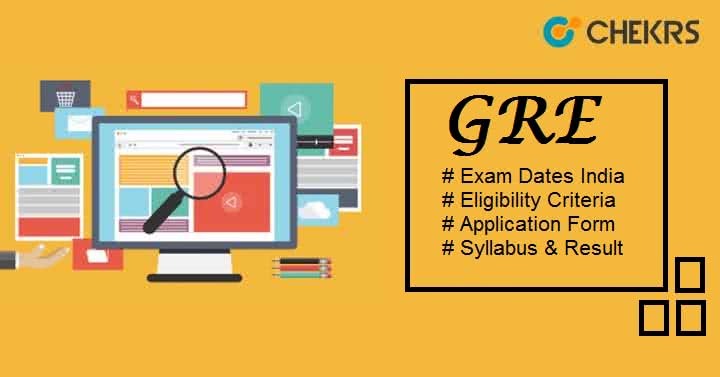 GRE is a standardized test administrated by ETS (Educational Testing Services) at international level. This exam is also known as GRE General Test. GRE Score Card is accepted by most universities of USA and some other Universities worldwide. Get all information related to GRE General Test here. Candidates can take GRE General Test up to 5 times a year but there should be a gap of 21 days between two consecutive exams. No test date is specified for the same. You can select GRE Test Date on any date as per your requirement or your preparation but there is one condition that seat must be vacant in the test center you have selected on that date. If seat is not available in the specific test center then you have to choose a new test date or select any other test location. GRE Eligibility Criteria is defined by ETS for GRE General Test. Candidates will have to check the criteria required for the course or programmes they choose or need to check the Admission Criteria of respective universities or institutions where you want to take admission. There is no age limit to take GRE. Candidates who have completed their undergraduate degree can apply for the same. Registration will be done through online mode only. Before proceeding to GRE Online Registration, candidates will have to create an ETS account. Check the following step by step guidelines to create an ETS account and GRE Registration. Next go to ‘Register now’ tab and click on it. You will be redirected to the new page. Click on ‘Create an Account’ tab to create an ETS account. Fill the empty field with all required information. Select GRE Test Type, Test Center & Test Date. At last, pay the application fee by online method via American Express, Discover, JCB, MasterCard or VISA. GRE Syllabus is comprised of 3 sections i.e. VERBAL REASONING, ANALYTICAL WRITING ASSESSMENT, QUANTITATIVE REASONING. Analytical writing assessment will check your critical thinking and analytical writing skills. 2 task will be asked to form this section and each of 30 minutes. Verbal Reasoning includes reading comprehension, text completion, and sentence equivalence. While Quantitative Reasoning covers questions from algebra, arithmetic, geometry and data analysis etc. Exam Pattern is Given below. The price of success is hard work. If you want to succeed in GRE, only your hard work will help you. Learning only the complete syllabus is not enough. After completing the syllabus thoroughly, you should also practice Previous Year Paper. Solving GRE Sample Paper will improve your speed and accuracy, give an overview structure of original question paper, and boost your confidence level etc. Make a proper study plan and follow it strictly to achieve your goal. Take help of some good books recommended by experts or toppers. Practice Previous Year Papers to speed up your numerical solving ability. Think Positive and get rid of distractions. Note down all tricks & formulas on a paper and revise them regularly. After the completion of the registration process, you will get GRE Admit Card to your registered Email-ID. Candidates need to check their email id in order to download their hall ticket. Click on the admit card link sent to your mail id, enter the required details and your admit card will be displayed on your screen. The admit card will contain information regarding candidate’s personal information, test center & location, exam date, day & timing etc. After downloading the admit card, don’t forget to take the print of it and also bring your admit card to the examination center. ETS will announce the GRE 2019 Result within 10 to 15 days after the examination date. You will get notification regarding result on your registered mail id or mobile no. You official Score Card will be made available to your ETS Account and your score report will be sent up to 4 universities or institutions which you have selected. Log in to your ETS account with the help of your login details. Click on your GRE Score Report link and check your score in each section. You may take a print-out of it for future use. Check the GRE 2019 Scoring Pattern in the table given below.